A rich, versatile, fun package at a good price. Sounds great. Good value. Lots of fun. 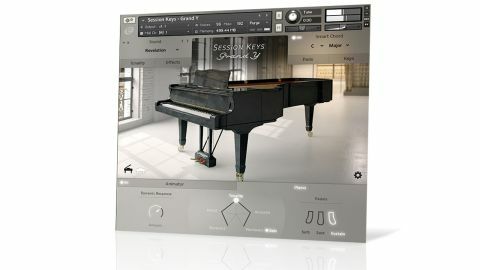 Also available individually (£99 each), Grand S and Grand Y offer up to 9GB of multisampled Steinway D (lively) and Yamaha CFIIIS (warm) pianos, and both sound magnificent. "Each piano can be switched between 'Concert' and 'Studio' mode"
Each can be switched between 'Concert' and 'Studio' mode, the latter recorded with the lid removed and the mics closer for a drier, more contemporary tone. The Pentamorph controller morphs between five preset combinations of forward and reverse samples, and mechanical noise, while the Tonality editor facilitates noise, resonance and envelope shaping. A useful collection of effects has been scripted in, and the superb Smart Chord and Animator systems enable automatic chord generation combined with configurable playback of a sizeable (but preset-only) library of performance-controllable phrases.